Over 20 openings and a complete repertoire for black and white starting with 1.e4! Suitable for any level (from Beginners to Masters)! Highly thematic video lessons with the best opening schemes for online and OTB games.Interactive training highlights to illustrate the valuable concepts of every single line explained! Secret methods of dealing with many problematic situations a player may encounter in the openings. Personalized help to anyone who has questions or needs help on how to approach the training course. Order your copy today (via download) and save 10% from it's initial price! Unleashing the Chess Openings by IM Tiger Lilov! Most beginners, intermediate and master players find planning in the opening a challenge, especially at the start of the game where the player seeks to take the initiative, advantage, or even in need of mounting a solid piece development. 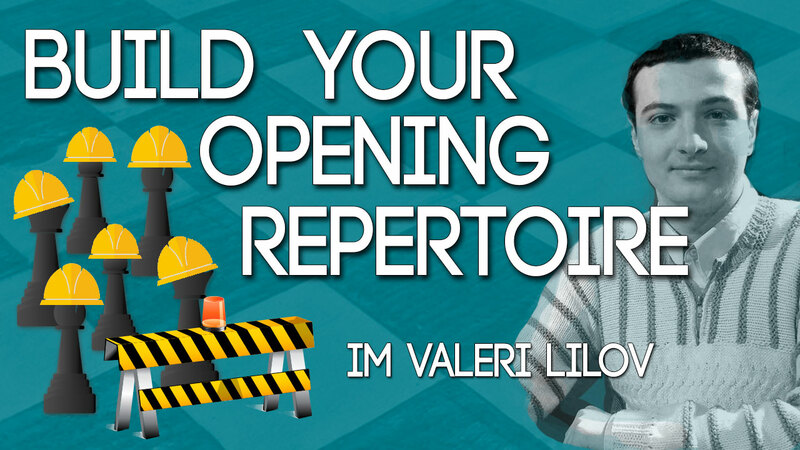 IM Valeri Lilov presents different strategic openings and equips players of different levels of skill with the required toolkit whenever they play their openings. The simple exciting and dynamic presentation style of Valeri Lilov makes learning and understanding of the key opening themes easy for players aspiring to improve as he takes them through easy-to-learn plans whilst explaining the application of the maneuvers. The plans are easy to apply and translate into your own games, and can even be practiced on your next game. In chess, there is no to “create” move-by-move opening any more. This lecture package will enable you to learn how to identify the best openings and apply sound and correct strategy to play them. It’s that easy! In this volume, you will find lectures on opening principles, critical lines, planning your development, identifying the best opening moves, and having a complete arsenal with the 1.e4 openings. There is no greater opportunity to learn from the masters and discover the secrets of their thinking than through this package. Enjoy the magical world of chess secrets!